Velvety powerhouse, liquorice, mint, and brambly earthiness. Les Perles Syrah comes from 3 small vineyards in the village of Tuchan with a mixture of soils and only 1200 bottles were produced. Each vineyard is protected by an electric fence to keep the pesky wild boars from eating the ripe grapes. Dry red, intense and warming. Velvety powerhouse, liquorice, mint, and brambly earthiness. 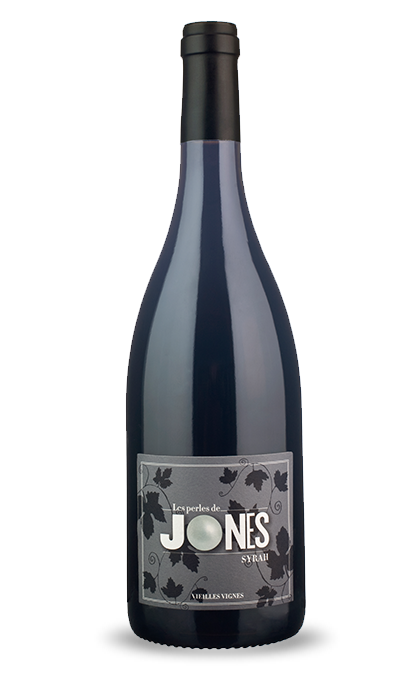 Les Perles Syrah comes from 3 small vineyards in the village of Tuchan with a mixture of soils and only 1200 bottles were produced. Each vineyard is protected by an electric fence to keep the pesky wild boars from eating the ripe grapes. Only 200 cases produced. Wholesome stew, meatballs, chili con carne, steak and stout pie. Syrah is a relative new comer to the vineyards of Tuchan as it became an official requirement for the blended wine Fitou about 35 years ago. Quite a difficult grape to grow in the dry soils of the area it performs better on the damper soils of the lower ground. The vines are always trellised as the shoots grow outwards rather than upwards. I have been fortunate to purchase some of the more established Syrah vineyards and their production is just heavenly. "The fruit, the whole fruit and nothing but the fruit." "It has classic Syrah notes of peppery herbs, darker fruits, licorice and chocolate to go with an elegant, yet nicely concentrated, lively, pure feel on the palate."